"Every single creation that makes it on the menu is a delightful surprise." The fine dining at Sokyo is second to none, with Chef Chase Kojima putting forward a menu that is sure to delight even the most stubborn of taste-buds. 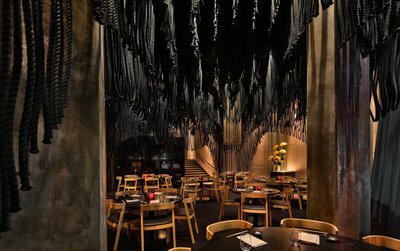 The menu is divided into several sections including sashimi, sushi, tempura, robata (which is meat, seafood and vegetables grilled on white charcoal) and other "essential dishes". The portions are small and made for sharing in the traditional Kaiseki style (multi-course) Japanese dinner. 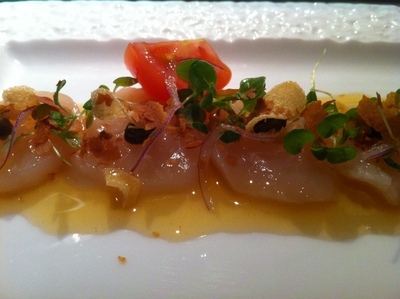 We started off with the Hokkaido Scallop Yuzu Honey - a move I would definitely make again. 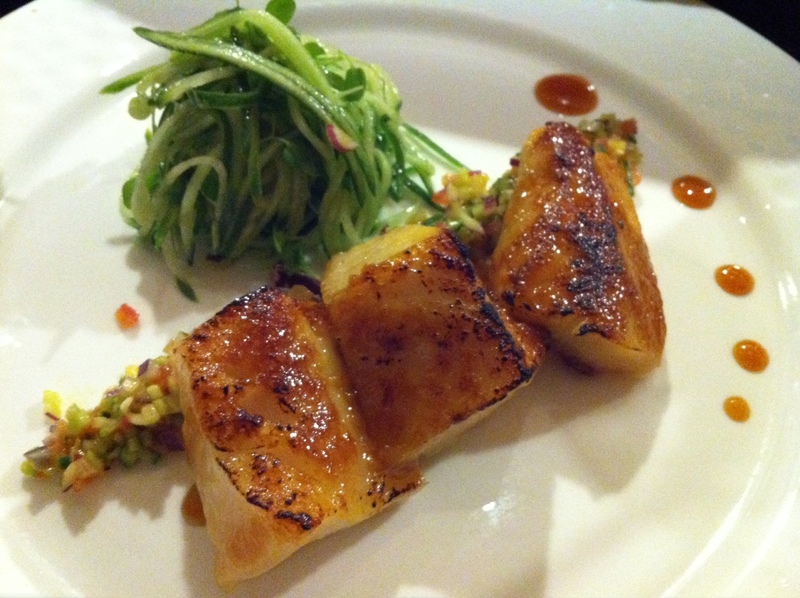 I don't usually eat scallop sushi but this dish has changed that permanently and left me salivating to try it again. The Enoki Mushroom Tempura with Sokyo tempura sauce was next. The Tempura batter was light, crisp and flavoursome even without the sauce. From the "Essential Dishes", we chose the DengakuMan (caramelised miso cod, Japanese salsa, celery croutons). 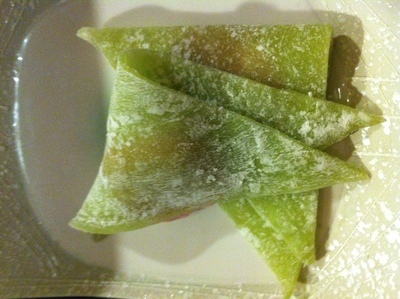 The dish was tasty, succulent and very moorish. While we didn't regret choosing the DengakuMan, I have to admit to suffering food envy when the wait staff wandered by with the Wagyu 5 T-Bone for another table. We finished our meal with what I would have to say was the highlight: Spicy Tuna Cripy Rice (Crispy nigiri, truffle salt, spicy mayo). This has to rate as one of my top three best ever dishes. The tuna - literally - melted in my mouth and was a perfect contrast to the crispy nigiri. 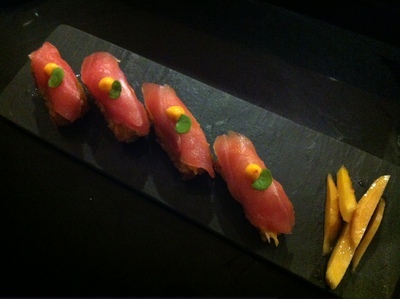 If you go to Sokyo, this is the one dish that you must try. For our final course, I went for one of my favourite Japanese desserts: Sokyo Mochi Ice Cream (Yatsuhashi kyoto mochi, frozen strawberry milk shake). The mochi was soft, chewy and delicious, and the ice cream really did taste like the strawberry milk shakes I would get from my local corner shop as a child. If you can't choose from all of the delicious options, the waitstaff can create a personalised "Sokyo Menu" for you (basically, they get a feel for what you like to eat and then pick the dishes for you) so you can just sit back and wait to for your culinary delights to arrive. If you had seen what the old Casino hotel used to look like, you'll be very pleasantly pleased with the facelift and transformation that this previously 'corporate space' has undergone. The dining room is moody, encased by lofty ceilings overhung with thick ropes and copper-coloured lamps. The mood manages to be trendy, but still warm and ambient at the same time. Guests can take a seat at the sushi bar and watch the chefs meticulously create sushi delights, or enjoy a more private table in the sunken dining room. 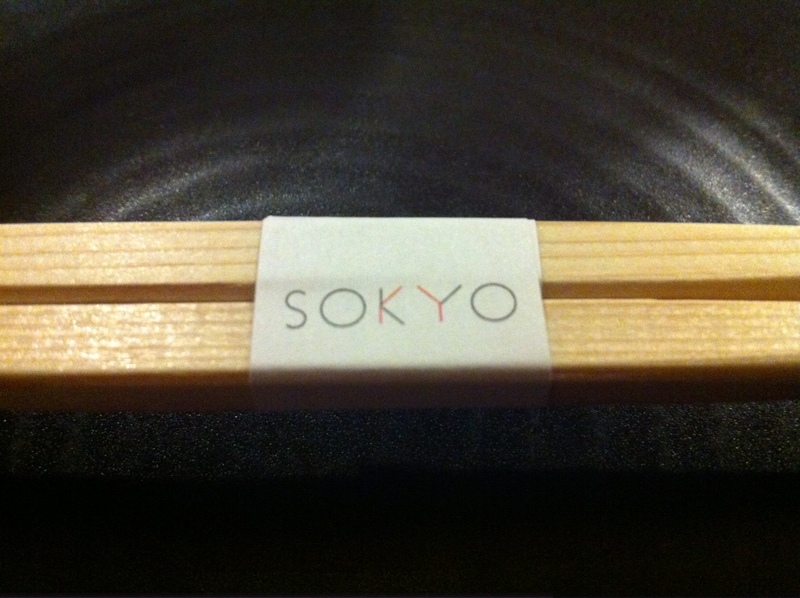 The best surprise of all was the number on our bill at the end of the night - Sokyo is fine dining at its best, but it doesn't come with the fancy price tag. 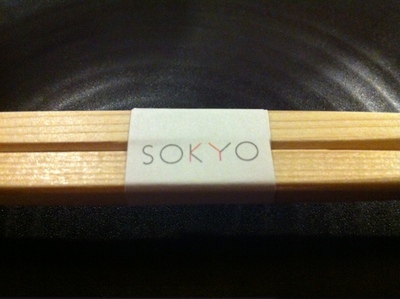 I'm not saying it's 'cheap', but by fine dining standards Sokyo is most definitely very affordable. With an average appetite (I know - that's very subjective) it should cost about $115 for two (not including drinks). If you're thinking of trying Sokyo for lunch, they have a $45 lunch special. If you'd like to know more, have a look at this video interview with Chef Chase Kojima, where he discusses the origins of his love of food and his inspirations for Sokyo's menu.